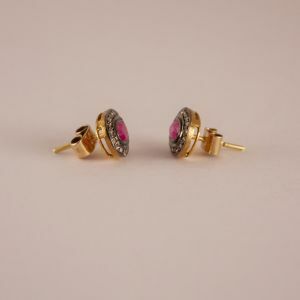 Silver and gold, contemporary and old gemstone and ethnic jewelry. 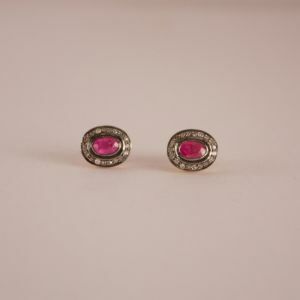 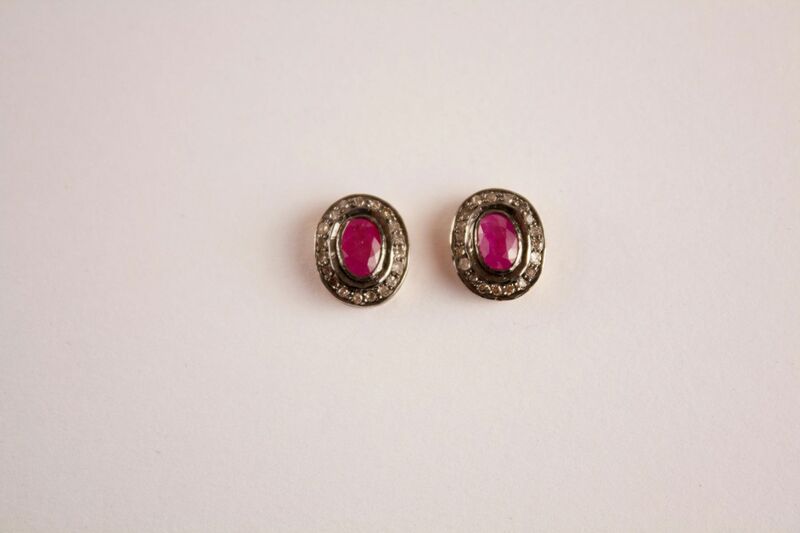 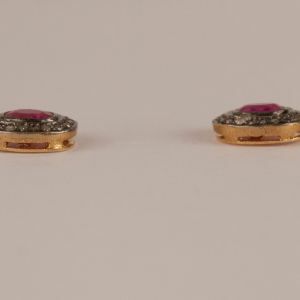 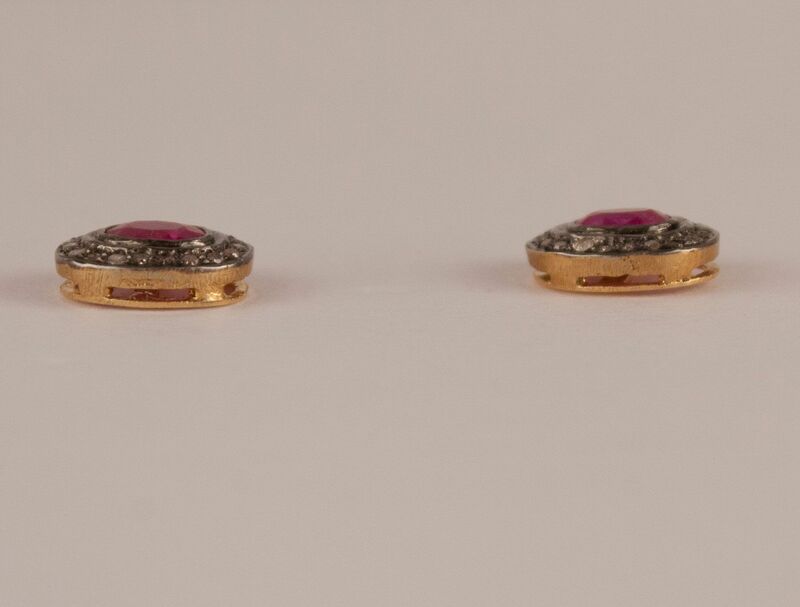 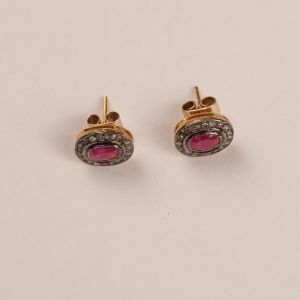 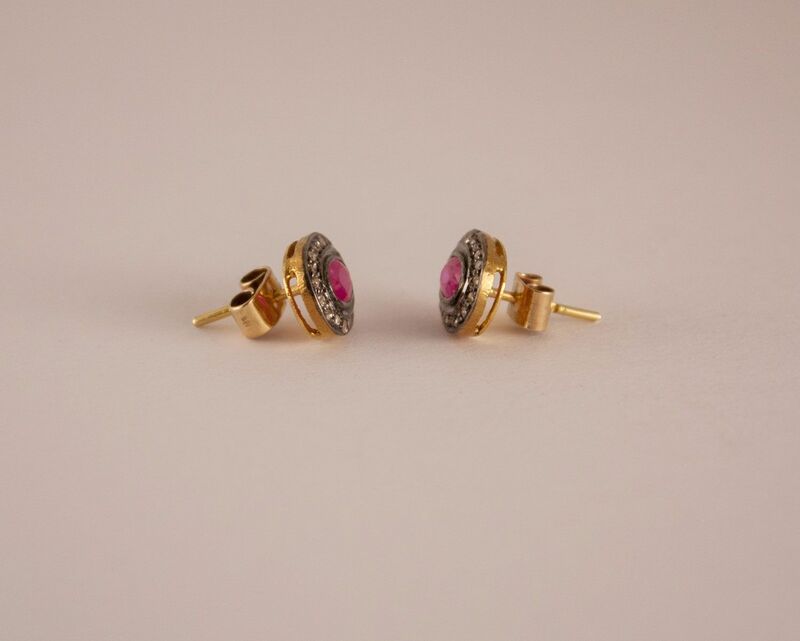 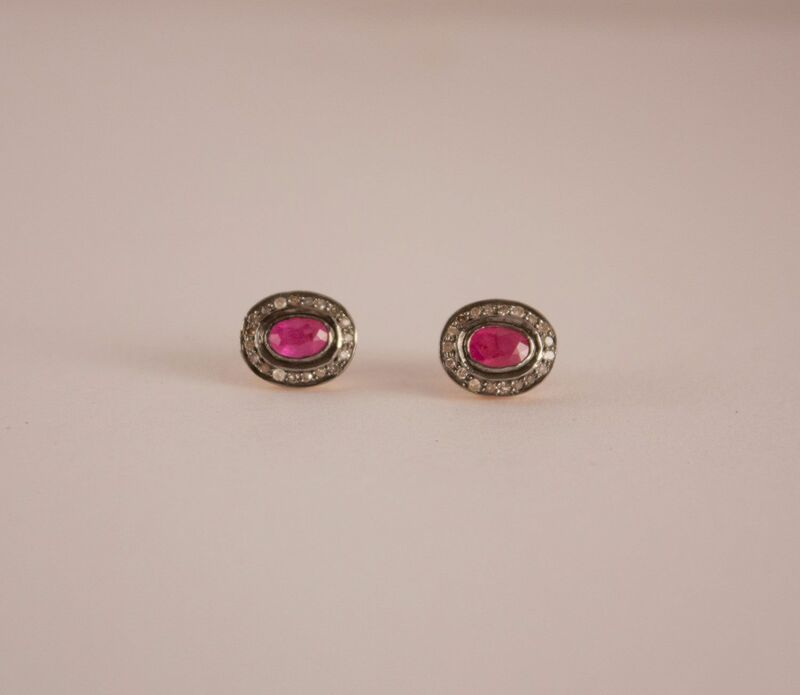 Faceted rubies are encircled by flat cut, pave set diamonds in these oval shaped studs. 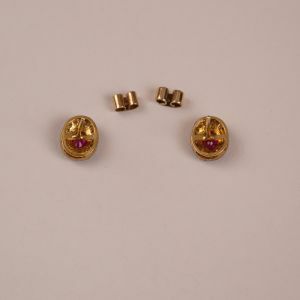 The handwork is intentionally unrefined, which makes the earings a bit more casual and wearable. 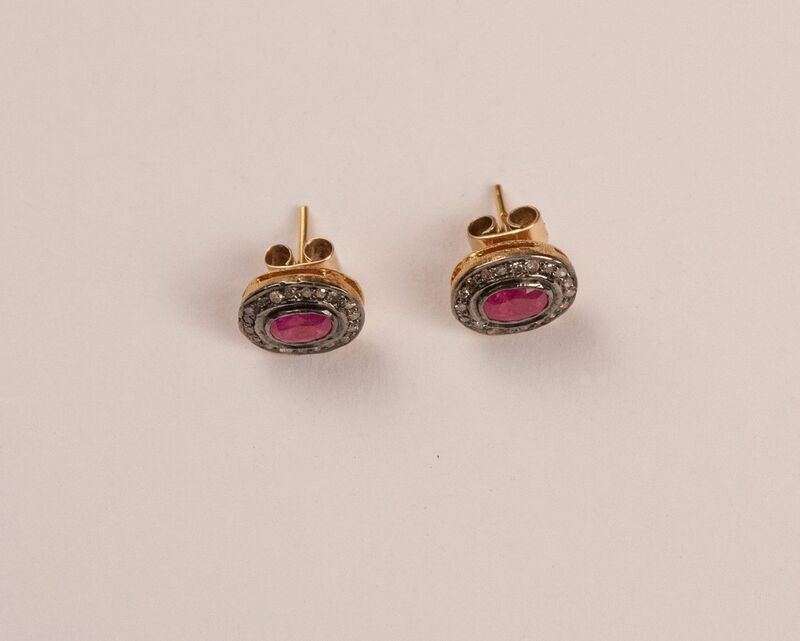 The settings and backs are sterling silver washed in 14 karat gold. 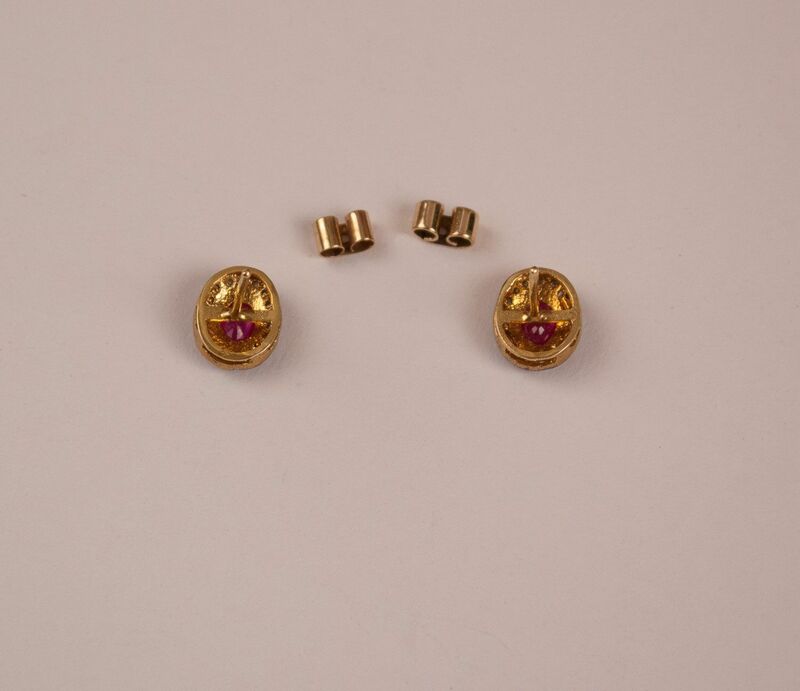 The posts and earring backs are pure 14 karat gold.